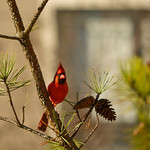 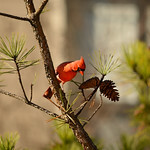 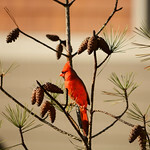 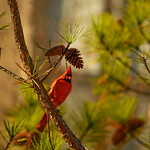 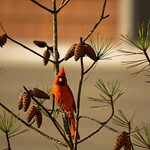 Beautiful bird (Northern Cardinal sitting on pine tree branch. 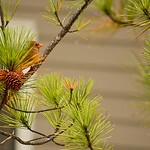 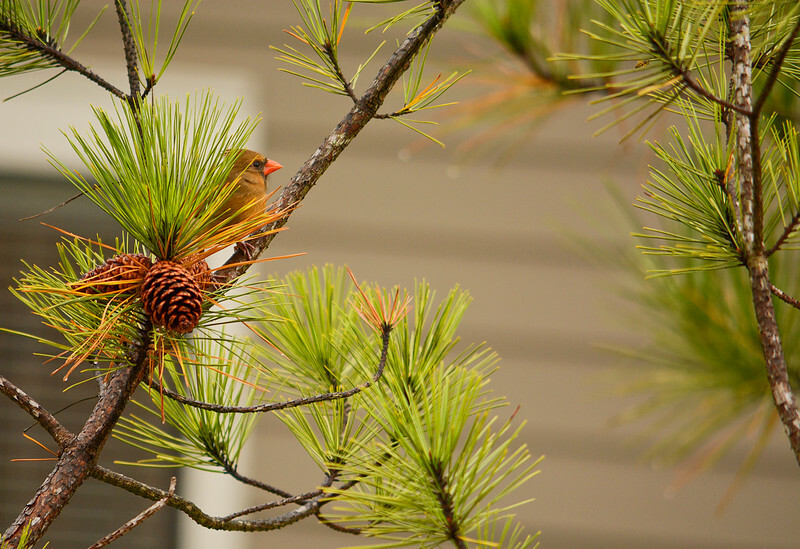 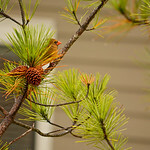 Beautiful bird (Northern Cardinal female) sitting on pine tree branch. 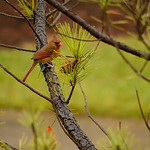 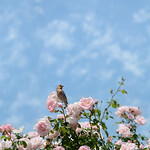 Charlotte North Carolina USA.